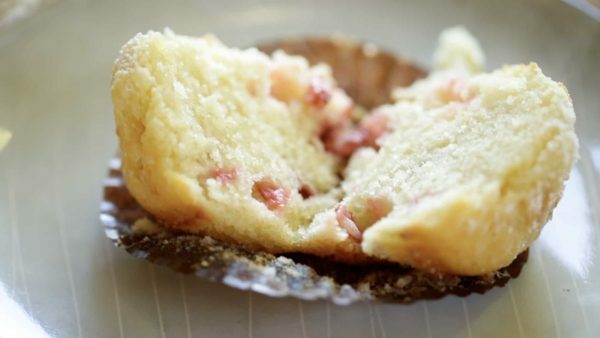 If you need a quick and easy muffin recipe for Easter Sunday, this one is it! Simple enough even for beginners, this is a muffin that packs a powerful punch. 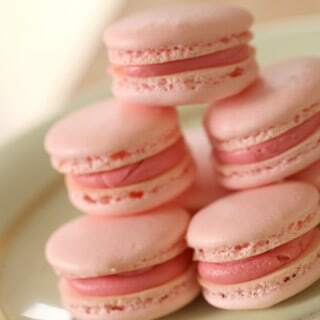 Lightly sweeten with just the right about of sugar and lemon, and that slightly tart tang coming from the strawberries. 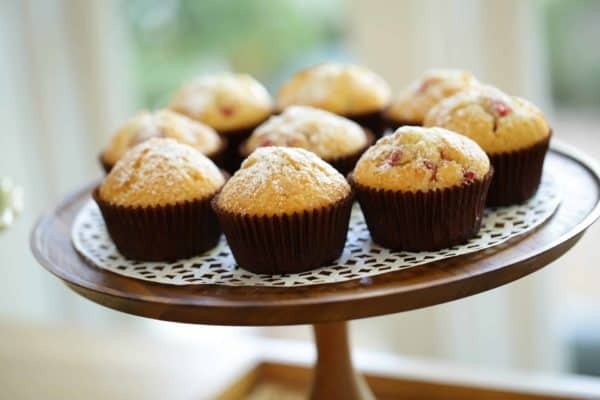 WATCH MY VIDEO DEMO OF THIS MUFFIN RECIPE BELOW! 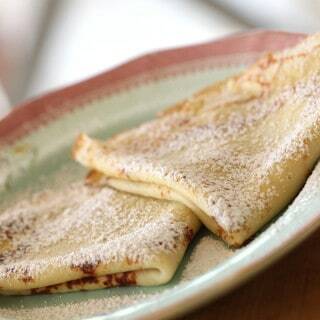 The texture is so light and fluffy (the secret is combining butter, oil and water) it’s my favorite kind of recipe; something that is so simple, yet so good, it will impress your guests every single time! For a step-by-step tutorial of this recipe you can watch my video demo below. SUBSCRIBE TO MY YOUTUBE CHANNEL (it’s free!) and never miss a recipe! New videos post each Saturday! 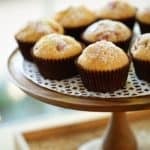 PLEASE LET ME KNOW IF YOU MAKE THIS MUFFIN RECIPE BY LEAVING A RATING AND REVIEW BELOW! Follow me on YouTube, Pinterest Instagram Facebook and Amazon! 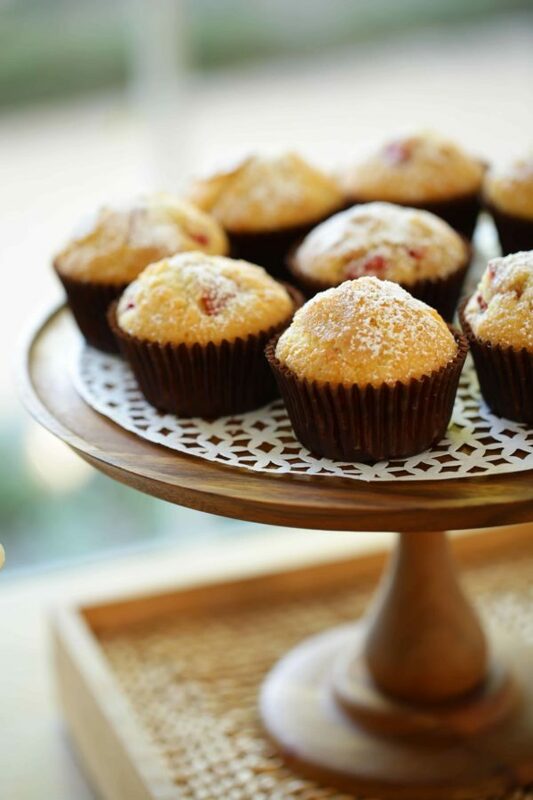 An easy strawberry lemon muffin that is perfect for a springtime brunch. Light, moist and delicious! Preheat Oven to 425F (218C). In a large bowl mix together the eggs, butter, oil, water, sugar and lemon zest. Set aside. In a medium sized bowl whisk together the flour, baking powder and salt. Add the dry ingredients to the wet ingredients, in thirds, until combined. Bake 16-18 mins until golden brown and risen. Hi Beth, I made these today for my little one to take for her spring function tomorrow. They turned out sooooo good. 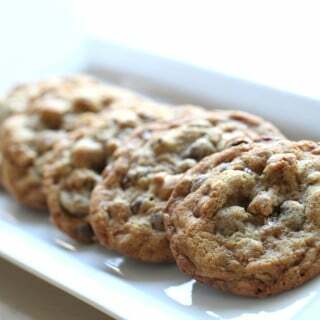 I stumbled upon your recipe on Pinterest then it led me to your youtube channel and finally here. Your consideration to details, flavors, and giving alerts to avoid basic cooking disasters are commendable! Beautiful and meaningful execution 🙂 If I had to pay for being your subscriber then I would do it without any hesitancy. I will share pic. of muffins via Pinterest. Awe that’s so nice to hear! I’m so glad the muffins were a success! And easy right? 🙂 That’s the best part! Ha! Thanks so much for your kind words about the recipes and videos, I’m so glad you enjoy them! 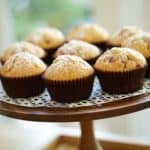 Great, light and pretty muffin! It will be part of our Easter brunch menu. May I ask what flour you use please, is it Self Raising Flour or Plain? Oh sure all my recipes are developed with pain all-purpose flour 🙂 Much easier that way! Hope you enjoy! I saw it is half a cup water in the video recipe. But quarter cup in the written recipe here. Can you please clarify which to follow? Hi Beth, just baked the muffins . Came out moist and fluffy and tasted good. Thank you for sharing. Could you use frozen strawberries when fresh strawberries are out of season ? Yes of course frozen would be great too 🙂 . Enjoy! Hi, I love the recipe! I was just wondering with size cupcake pan did yum use?? Can I sub buttermilk or milk instead of water? Sure you could but the water is actually what gives them their lightness. Milk and buttermilk has fat in it which would weigh the muffin down, water is really the secret ingredient when it comes to creating a lighter muffin or cake 🙂 Enjoy! Oh sure that would be great too! Enjoy! Could you make 1 loaf of bread with this recipe? hmmm great question! I might be afraid it wouldn’t have the right structure since the crumb is so delicate. It might fall apart? But next week I have an awesome Blood Orange Pound Cake recipe that would also be fantastic for Easter Brunch. 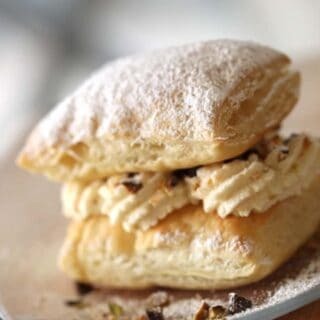 Or you could try these loaf bread recipes which are also really great! Hope you enjoy!~ .